If you have ever wondered what the difference is between Standard Embossing Powder and Detail Embossing Powder then go take a look at my post on the Oak House Studio blog. 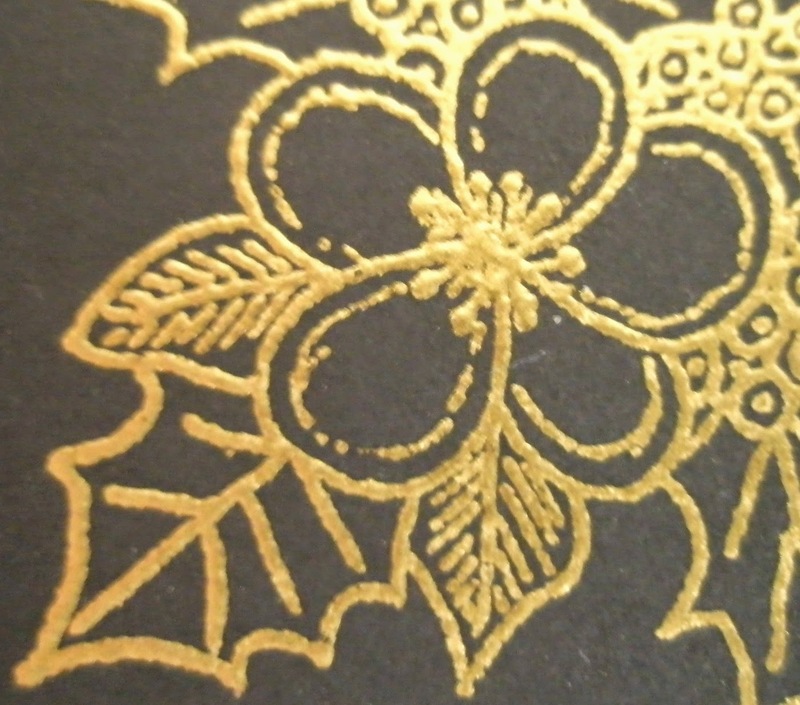 For the majority of embossing, standard embossing powder is good but for fine lined stamps, intricate patterns and fine lettering then you do really need to use Detail powder. 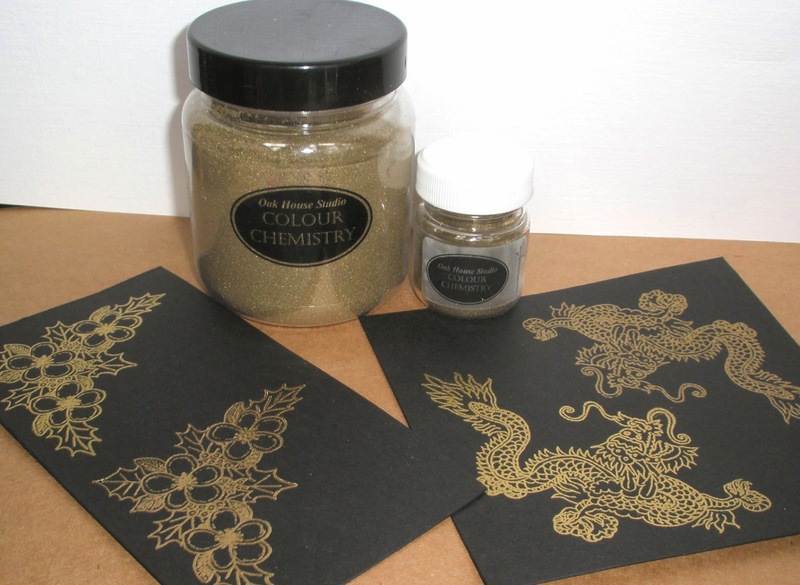 The card below shows a combination of both grades of powders - Detail for the wording and Dog Rose and then standard powder for the faux soldering frame around the edges. For more information then please go take a look at my blog post HERE. 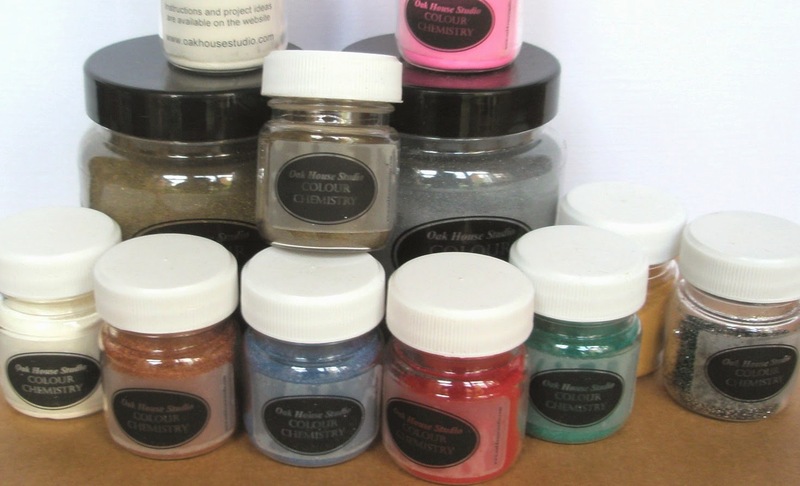 Oak House Studio sell a great selection of embossing powders with Detail powder in 100g jars for £10 - it'll last you forever!! All Embossing Powders, Stamps, Pigment Ink Pads, Ink in a Bottle Sprays, Pipettes and Water Brushes that I've used in my post can be found in the Oak House Studio Shop. 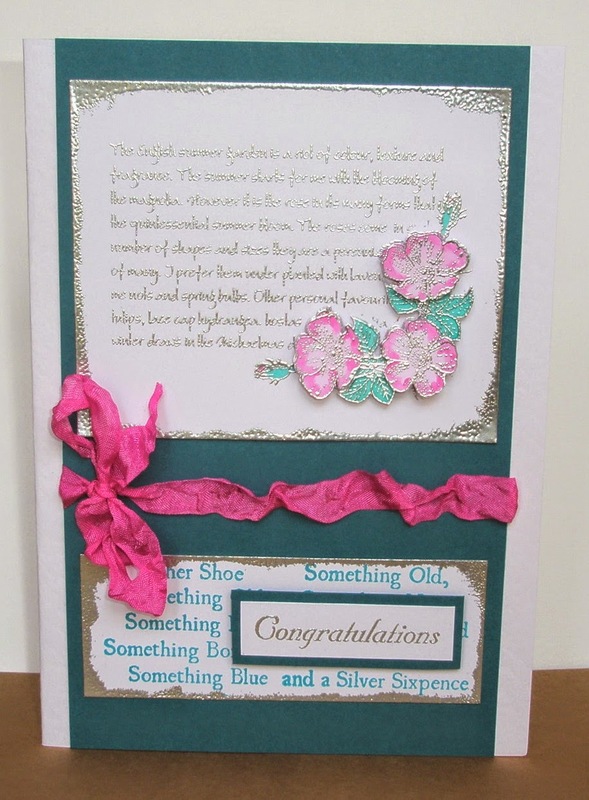 Why don't you go take a look and try some embossing!